The Museum holds three main sections for Natural science, Cultural and library and natural section consists of four main sub sections as Entomology, Zoology, Botany and Geology. For entomology section there are over 95000 dry preserved insect specimens and over 5000 wet preserved insect specimens. Where Insects common around the world as well as insects which are only common in Sri lanka. 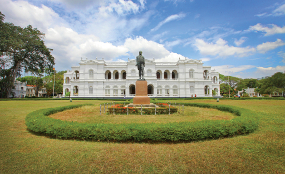 A heritage park that also happens to be the oldest one in Colombo, this blooming garden was developed when Sri Lanka was a British colony. 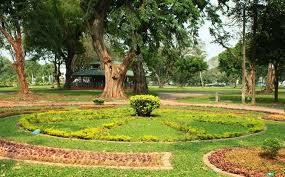 Originally named Victoria Park, it was later renamed to Viharamahadev Park. This public park has many different varieties of trees which look extremely beautiful when they bloom during the spring season. They also offer many photo opportunities. Beira Lake is a nice place to chill out on a cool day - it's a hot spot for couples but there's a great view for anyone to enjoy here especially at night when it's lit up. You can stroll down the quiet walkways under the shade of trees, paddle out on the lake on a swan-boat, visit the water-temple on the lake, cross the bridge to lovers' island, or have some juice or tea nearby. Immediately south of Fort is Galle Face Green, a long stretch of lawn facing the sea. 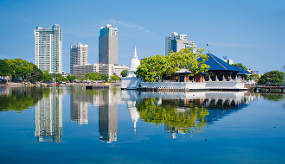 Located in the heart of the business capital of of the country; Colombo, the Galle Face Green in Sri Lanka is a five hectare ocean-side urban park. The Galle Face Green in Sri Lanka was initially used for many recreational activities. A charming villa with a generous spaces and super friendly and incredibly helpful staff. Room was enormous and comfortable, poolside was the perfect escape from the city, and the location makes it central and a short walk to some of the best spots in Colombo. Absolutely no hesitation in recommending this great spot. Colombo Villas is located in a lovely leafy area of Colombo - it makes for a restful day after travelling or a haven from exploring the city. All rooms are large and the beds are very comfortable, it has a feeling of being in a home not a hotel. The staff are helpful and informative. One added bonus is the resident Ayurvedic Healer Gamini who has a deal talent for his craft and provides excellent Reiki treatments and a very reasonable cost. We really appreciated the advice we were given in terms of where to eat and also on transport decisions - it was a most pleasurable stay and we'd go back anytime we were in Colombo. Top notch accommodation in a quieter part of the city centre. Rooms were spacious and comfortable, and staff was extremely friendly and welcoming. A great rest spot. This is a perfect villa with lovely pool, spacious rooms, traditional garden and contemporary decorations. The owner is really nice. Best staff Nice location Good food and drink. I ll come back again!! It's a very good villa. Its not like a hotel. its a Villa. The staff is too kind, the room is clean and wide and the food is very good!! Its difficult to find the location because no signboard.